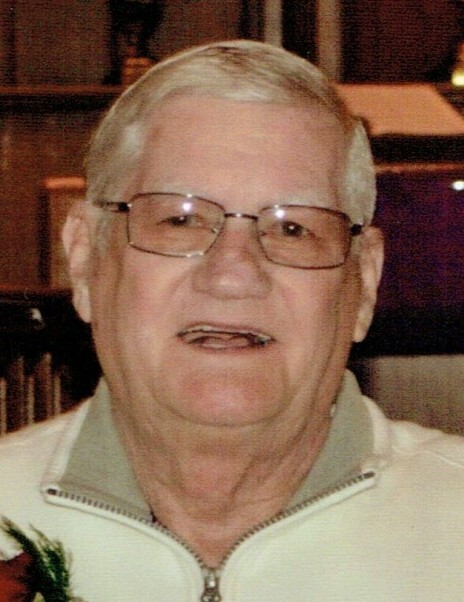 Obituary for Clarence W. 'Bill' Eckley, Sr. | Heller-Hoenstine Funeral Home, Inc.
Clarence W. 'Bill' Eckley, Sr.
Clarence W. “Bill” Eckley Sr., 81, of Lewistown, passed away on Tuesday, Nov. 27, 2018, at Hershey Medical Center. Born July 25, 1937, in Naginey, he was the son of the late George and Isabelle (Havice) Eckley. In addition to his parents, he was preceded in death by infants, William C. and Amy J. Eckley; and sister, Diane Aumiller. He is survived by: his wife, Beverly R. (Chamberlain) Eckley, whom he shared 61 years of marriage; children, Kimbra R. Eckley and partner, Maryjane Grella, of Lewistown, Clarence W. Eckley Jr., of Harrisburg; siblings, Patricia Hampton, of Yeagertown, Larry Eckley and wife, Carole, of Reedsville, Judy Polselli and husband, Ken, of Rhode Island; several nieces and nephews; and brother-in-law, Ron Aumiller, of Burnham. He attended Kish Valley Grace Brethren Church. In his earlier years, he worked at several local gas stations, the Postal Supply, Marlette Homes and IPS. He worked at the Standard Steel where he later retired. In his younger days, you could find Bill fishing the streams of Mifflin County. He loved to hunt, especially with his daughter, Kim, ever since she was 12-years-old. He always wanted her to get the big buck! He enjoyed playing twilight baseball and slow pitch softball. Bill loved to watch the state Babe Ruth tournament at Armagh field in Milroy. Also, he would watch softball games and be a “coach” from the stands. Bill enjoyed the block parties that were held on the 700 block of South Wayne Street, years ago. If you wanted something done, you didn’t tell Bill until you were ready because he would start the project right away. He was always there to lend a helping hand. He was considered the “Mayor” of the neighborhood. Bill enjoyed taking his Golden Retriever, “Lady,” in his 1978 Chevy Silverado wherever he went. A funeral service will be held at 2:30 p.m., on Saturday, Dec. 1, 2018, at Heller-Hoenstine Funeral Homes, Woodlawn, 200 N. Main St., Lewistown, with Pastor Doug Sabin officiating. A viewing will be held from 6 to 8 p.m., on Friday, Nov. 30, 2018, at Heller-Hoenstine Funeral Homes, Woodlawn, and from 1:30 to 2:30 p.m., on Saturday, Dec. 1, 2018. Interment will take place in Mt. Rock Cemetery. In lieu of flowers, memorial contributions may be made in memory of Bill to St. Judes Children’s Hospital, 262 Danny Thomas Place, Memphis, TN 38105, Rescue Our Furry Friends, 133 N. Walnut St., Burnham, PA 17009, or Kish Valley Grace Brethren Church, 99 Taylor Drive, Reedsville, PA 17084.